These collections integrate method, theory, technic and note reading with appealing materials for recital and repertoire. 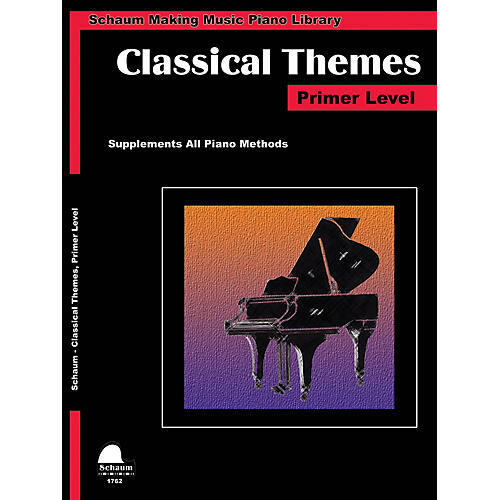 The Primer edition includes: Bridal Chorus · Danse Macabre · Emperor Waltz · Fifth Symphony (Beethoven) · First Symphony (Brahms) · German Dance · Gigue · Giselle · Happy Farmer · Heavens Are Telling · Humoresque · Lullaby · Minuet (Bach) · Morning · New World Symphony · Rigoletto · Swan Lake · Symphony No. 6 · Turkish March · Vesti La Guibba · Waltz, Op. 127 No. 5 (Schubert).